Photofunia is a popular fun web app for people who like to have fun. Photofunia is for people who likes to experiment with their picture and add effects into their photos. Unlike usual photo effects, Photo funia turns your photo into a celebrity image. You can add various funny photo frames and create nice fun photobox. 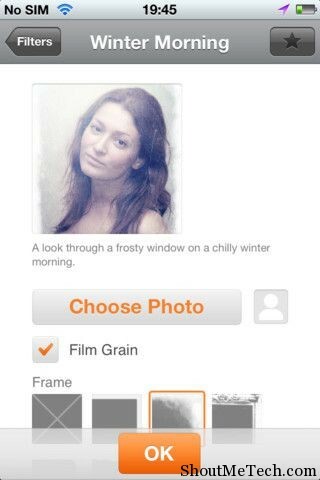 If you looking for a website to add fun effects to your or friends photos, this is a great free website for you. Images speaks thousands words and if we enhance or style our image, we can make it more attractive and appealing. Photofunia is one such website which will let us add effects into our Images. It has some predefined templates which you or anyone can use to enhance their or others image. In this post I will be talking about photo-funia which will let you add different effects into your images. Their Face detection technique is just amazing and as soon you upload the picture it will detect face from the photo. Though, I would suggest to use a photo with clear resolution and don’t upload low quality image. The website photofunia use the face detection technology and its very accurate. There are more than 50+ image effect which you can use. Specially if you are a Facebook freak, you might like to enhance your image using Photofunia and add it on Facebook. And get ready for some crazy comments from your friends. So guys Enjoy playing with your pics and make interesting pics and do let us know about how creative your images are. PhotoFunia iPhone app is also available from app store which is so far one of the most amazing fun image app I have seen on iPhone. I have been using it from long time and if you have an iPhone or iPad, there is no reason that you should not be installing it. It’s free and best part, you can enjoy more than 150 photo effects right from phone. You can download Photofunia iPhone app from here. Do you use Photofunia or any other alternative sites to add cool effects into your images?